At the end of the day, most of us love to drive. We thrive on the empowerment of being where we need to be, and the freedom to go where we want to go. But vehicle ownership can often be a mixed experience and (as with most responsibilities) is not without its proverbial ups and downs. Inevitably, a time will come that any vehicle needs to be replaced in order to meet the demands of your lifestyle. Driving a vehicle that is new to you creates a unique kind of happiness. It could be the expectation of renewed reliability, excitement over the unique features that drew you to the vehicle, or the simple fact that it represents a fresh chapter in your life as a driver. At DePaula Chevrolet, we believe that next chapter is closer than you may think, and we are committed to getting you there affordably and with ease. Having hundreds of used and Certified Pre-Owned vehicles on our lot is the easy part. What we truly take pride in is the creation of a car-buying experience built around your individual needs; an experience which enables you to move forward confidently with a reassuring wealth of information. That experience begins right here at depaula.com. Whether looking through our entire inventory or tailoring your search to focus on a specific model or vehicle criteria, our site allows you to do so from the comfort of your desktop, smartphone or tablet. Every used car for sale at DePaula is presented along with a full profile to help you decide if it’s the perfect vehicle for you. Since (let’s be honest), “looks matter,” each profile begins with a comprehensive gallery of images showcasing the actual vehicle’s interior and exterior in detail. This is reinforced by individual videos which we produce to enhance the introduction of each vehicle to its next owner. But “looks aren’t everything,” either. Dig into any vehicle’s substance by reviewing an in-depth breakdown of the manufacturer’s specs and unique vehicle features. From basic details to a bulleted list of amenities, we leave no room for surprise. And with a click of the mouse, you can obtain a full CarFax vehicle history allowing you to proceed with confidence. If you find yourself considering a number of different vehicles, use our comparison tool to determine which one is truly the best fit for you. The DePaula experience continues with our online Shopping Tools. Begin with the ease of determining your Trade-In Value courtesy of Kelley Blue Book. We want this to be easy and include a link to KBB.com on each and every vehicle profile. Calculate your potential payment to confirm that it’s the right choice for your budget and, if you want to take it to the next step, you can even schedule a test drive at your convenience. If you need financing, take a moment to apply right here at depaula.com. We understand that your life is busy. Rather than lose more time filling out paperwork at the dealership, we believe that our loyal DePaula customers deserve the flexibility of starting the process when they want to. From there, we are glad to help determine the financing options best suited to get you into the vehicle perfect for you. This approach carries over to preventative maintenance and service needed down the road. We want to make sure that it is never difficult for you to take care of your DePaula Chevrolet vehicle. While you’re welcome to give us a call anytime (we love to hear from our customers), we also offer the ability to schedule any maintenance, service or repair with the click of a button here at depaula.com. And don’t forget to sign up for our Preferred Customer Program to receive a $250.00 credit towards your vehicle purchase, as well as discounts on service, parts, and accessories. Among our inventory of used cars for sale are those that qualify for certified pre-owned status. Produced within the last five model years, these vehicles carry a maximum of 75,000 miles. Consider the assurance of our rigorous 172-point inspection backed by General Motors and Chevrolet, as well as documentation of both a clean title and vehicle history. Is it worth it for you? It’s hard to argue the value of a Limited Powertrain Warranty (6-years or 100,000 miles) and Limited Bumper-to-Bumper Warranty (12-months or 12,000 miles). Add in 24/7 Roadside Assistance and an optional 3-month trial of both OnStar and SiriusXM satellite radio and the perks are hard to ignore. 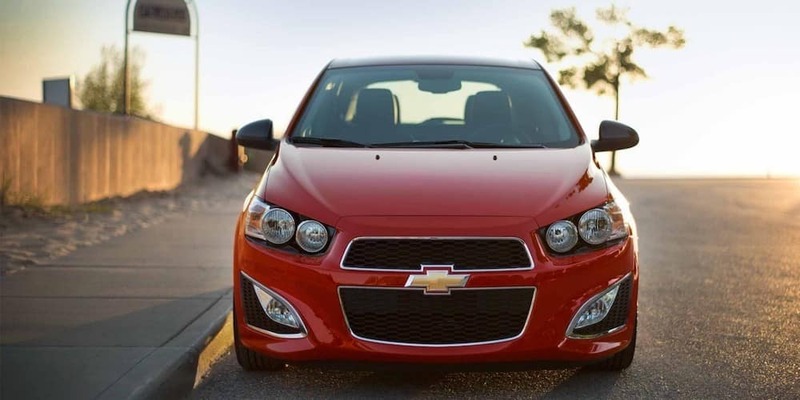 For added confidence, ask us about the Vehicle Exchange Program. In the event that you decide that your certified pre-owned vehicle is not the right fit for you, its CPO status entitles you to exchange it. Learn more about these benefits to understand all the reasons why a used car from DePaula Chevrolet could be everything you are looking for. As a six-time GM Dealer of the Year and #1 ranked Chevrolet pre-owned dealer in the Northeast, we take great pride in our celebrated and recognized the standard of excellence. That standard begins and ends with our goals of creating a transparent and supportive buying experience for our customers. After all, an informed and empowered customer is a confident customer; and a confident customer is our favorite kind. We are equally confident that your search for used cars for sale should begin and end with DePaula Chevrolet. Let us help you to get back to your love of driving by helping you to find the perfect car for the next chapter in your life on the road.